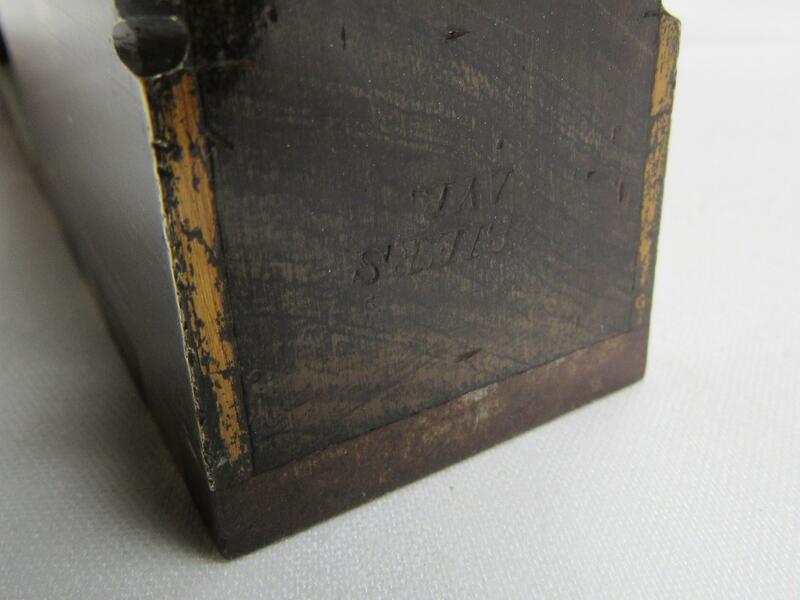 A very scarce dovetailed gunmetal shoulder plane by Spiers. 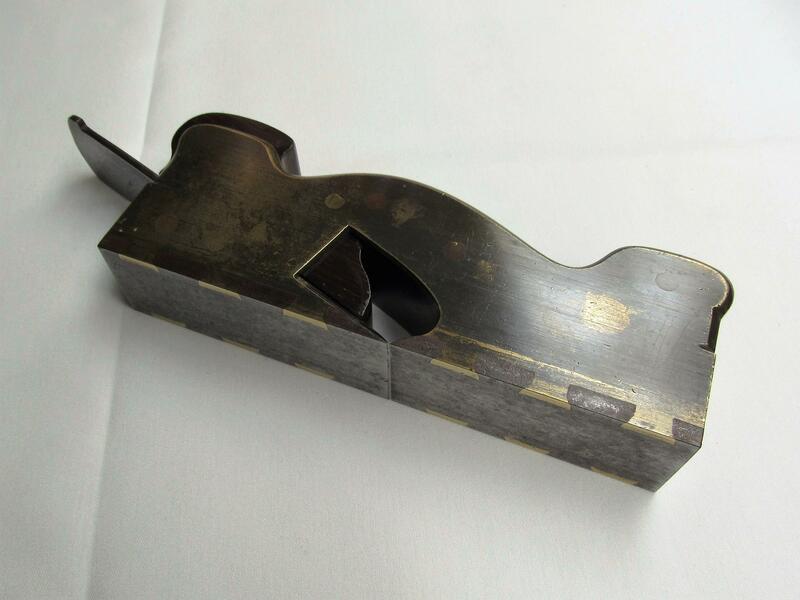 This lovely example is in original condition with a little surface rust showing on the steel sole but also retains the majority of its original factory lacquer finish. All parts are stamped 4 indicating that this plane is as close to original 'factory finish' as is possible. With figured rosewood infil this plane proves that some tools are both useful and beautiful. 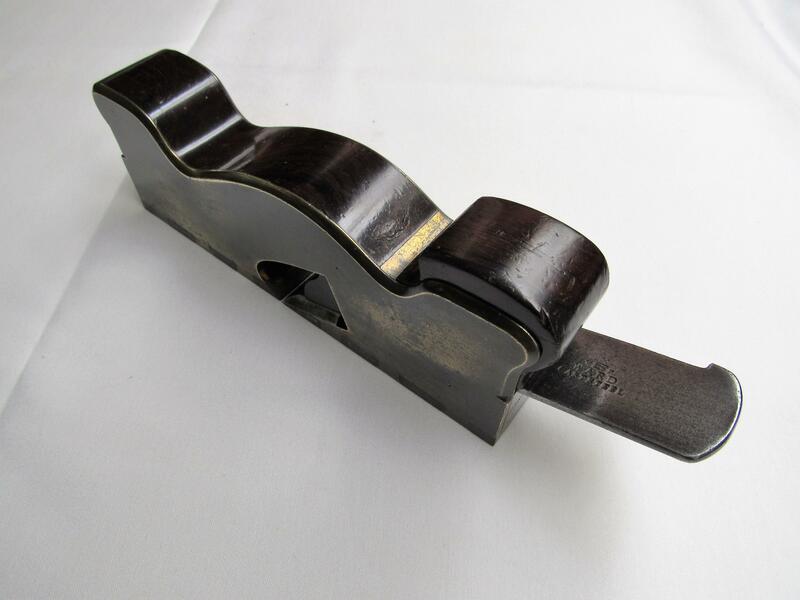 One of the great things about gunmetal planes with steel soles is that the dovetails are well and truly on show, something you don't see on a quality steel dovetailed plane where the skill is in actually making these joints almost invisible. 77/8 inches long and fitted with a 11/2 inch iron by Ward. 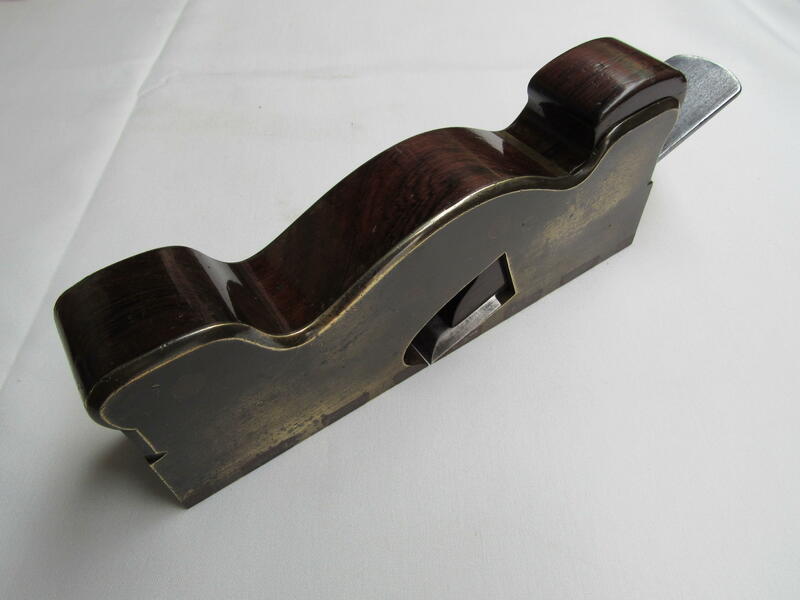 A very fine example of a rare plane by a skilled maker.